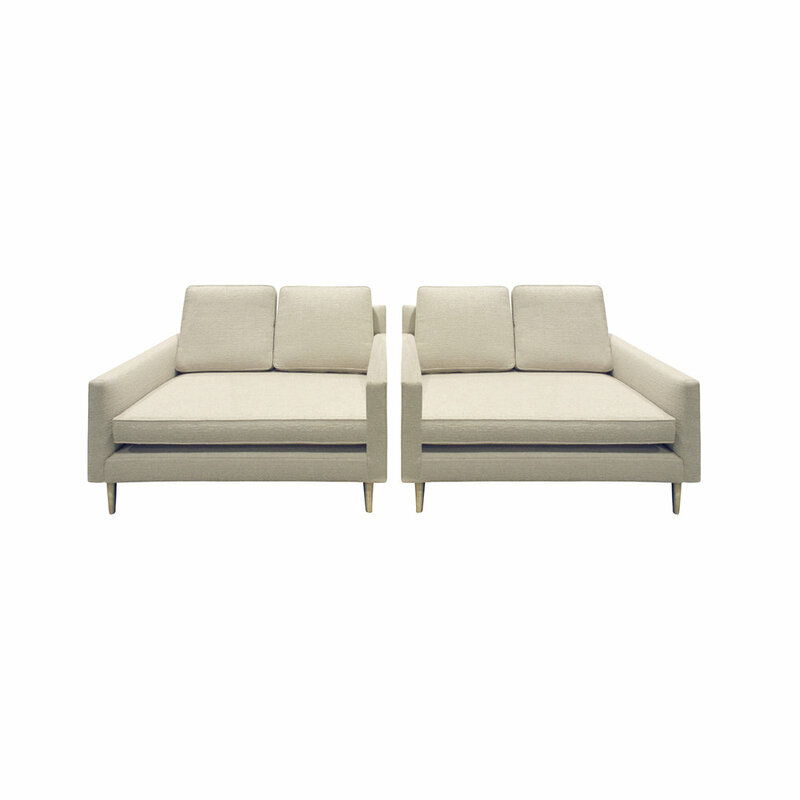 Pair of elegant loveseats model No. 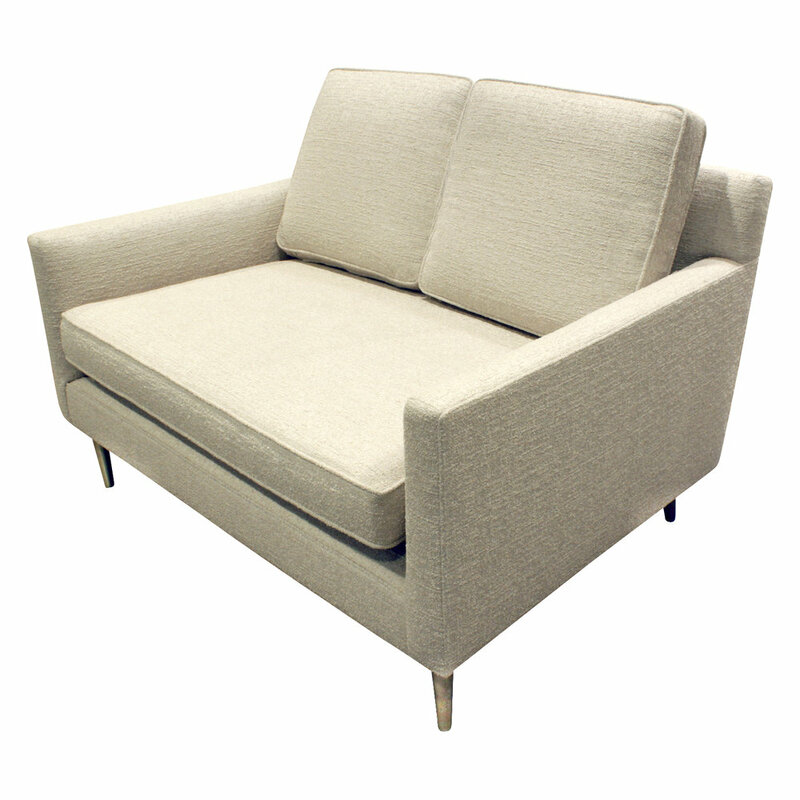 4872A with conical brass legs by Edward Wormley for Dunbar, American 1948. These have been reupholstered in a luxurious fabric.